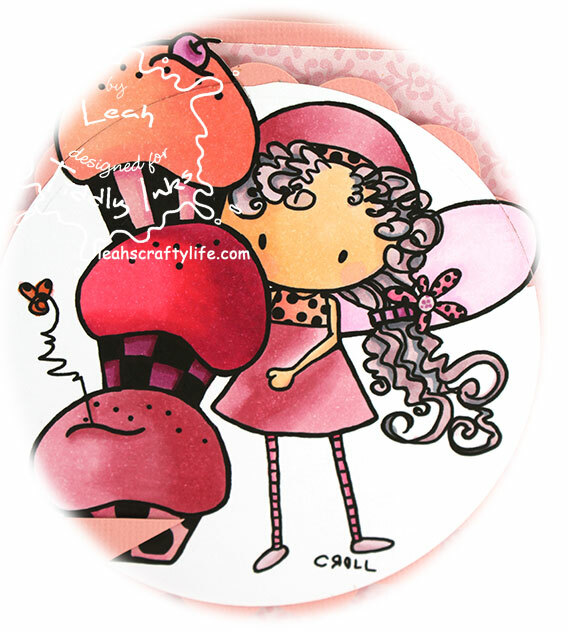 Leah's Crafty Life: Make it Pink! It's that time.. another new challenge is up over at Tiddly Inks! My post title says it ALL..
using a Tiddly Inks image, make sure pink is your dominant color. I used Cupcake Bugg, she is so cute! I also chose to use various shades of RV's in copics to color this up. The only other color I added was an orange and a grey for her hair. This was pretty challenging for me, but in the end I like it. For the card, I photoshopped the lines out so it looks pretty smooth. 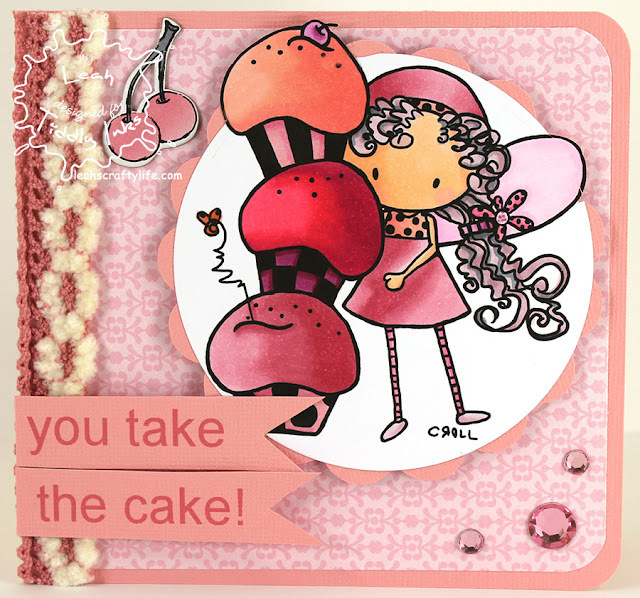 Now, don't forget to join us with some Pink over at Tiddly Inks!! I'll share my take on the new image tomorrow! OMYGOSH!!! I am IN LOVE with this!! LOVING the colors, the bling, the trim on the side and MOST of ALL... I loveeeeeeeeee the cupcakes!!!! Leah - OH MY!!! This is SO cute - how adorable are all those fun pinks!? 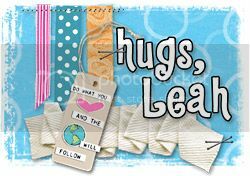 I love the design and your fibers are gorgeous! squeee!! oooh leah I love this!! and romfl about your out the box nesty!! I am always doing that!!! or cutting too much off before I nestify them so theres a huge gap after!!! Lol Leah! What a bummer! Your card still looks totally fabulous though! I love all the pinks you have used and the sentiment is fab! So gorgeous Leah! What an absolute cutie and I love all of that pink! You know I couldn't quite figure out how to do this technique either...In fact I just drew the circle on the page and cut it out to save the hassle o_o LOL!! This is just so cute I just adore the way you colored the cupcakes! I've cut off parts before as well, wish they fit in those circles perfectly!